Our Massachusetts Deluxe Notary Kit contains the essential stamp and seal along with a decal, sign, name tag, record journal and pouch to keep you organized! 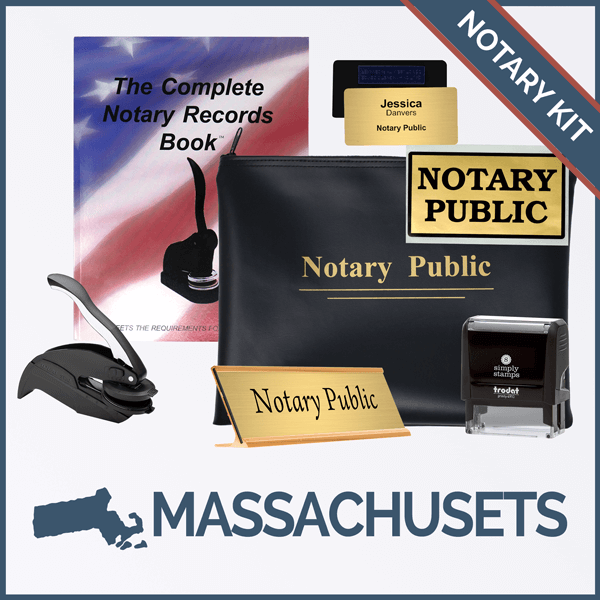 We provide the latest Massachusetts-recommended notary seal and stamp designs, and our Deluxe Kit is sure to contain everything you need to get started as an official Notary Public. Need help? Read our helpful Massachusetts Notary FAQs.